According to Bossip….Taxstone has launched a bid to get out of jail while he fights charges stemming from a deadly shootout at a T.I. concert in New York last year. 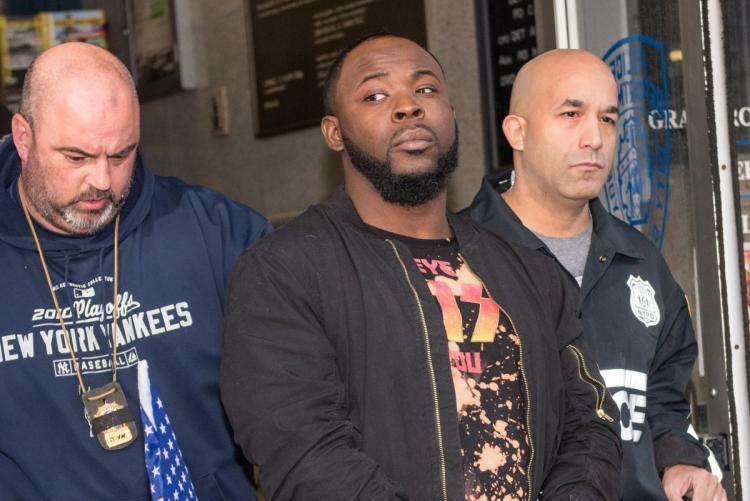 In a letter to the judge, Taxstone’s lawyer argued that he’s no flight risk, has a good job and questioned why Troy Ave was granted bail despite facing more serious charges for his alleged involvement with the shooting. The popular podcast host, who was born Daryl Campbell, was arrested in January and indicted on charges of possession of a firearm as a convicted felon and having a gun that was the result of interstate commerce. In court papers obtained by BOSSIP, the “Tax Season” host said that it’s Troy Ave, not him who is facing an attempted murder charge, and said police have the rapper on video firing wildly and found the gun used that evening in Troy Ave’s possession. Further, Taxstone’s lawyer argues that Troy Ave and his crew were implicated in another shooting in a club days earlier, and the rapper’s best friend Roland “Banga” McPhatter – who was killed at the TI show – was out on bail from that incident. Although law enforcement officials said both Taxstone and Troy Ave’s DNA was found on the gun in question, Taxstone’s layer Ken Montgomery said in court papers that the Manhattan District Attorney’s Office still hasn’t officially charged Taxstone, and both sides are awaiting further DNA results. The government has said that Taxstone got involved in the shooting to back up comments he’d made on his podcast. Troy Ave has maintained that an unknown person used the gun to shoot McPhatter, and he managed to wrestle the weapon away from the gunman and defended himself by firing at him.